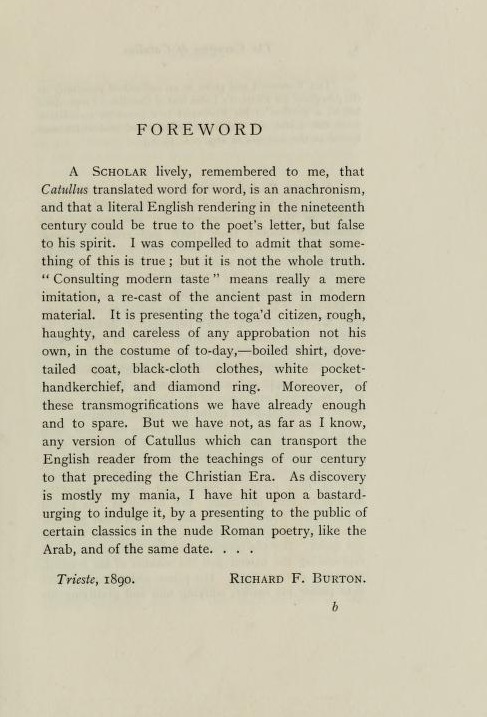 Sir Richard Burton’s verse translation of Catullus was issued privately in limited editions by Decadent publisher Leonard C. Smithers in 1894, four years after Burton’s death. 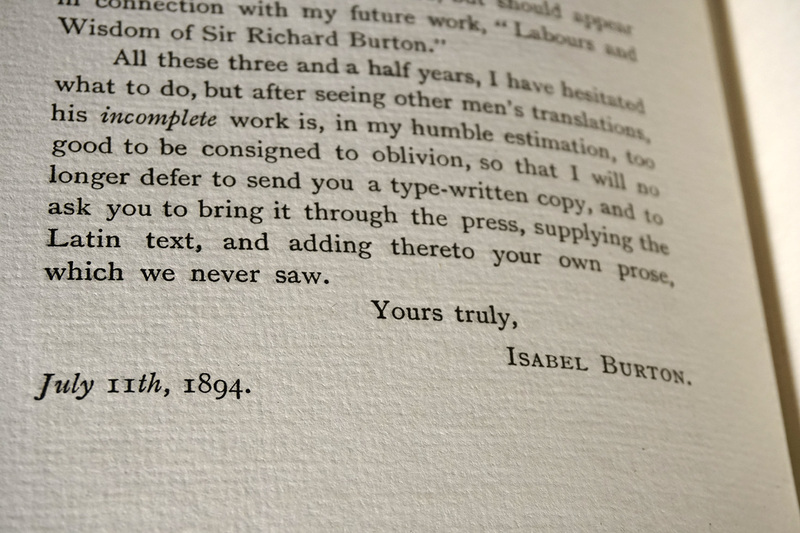 Smithers printed Forewords by Burton, along with a letter from Lady Isabel Burton, who had finally sent Smithers a typescript of the translation, withholding notes or handwritten original. 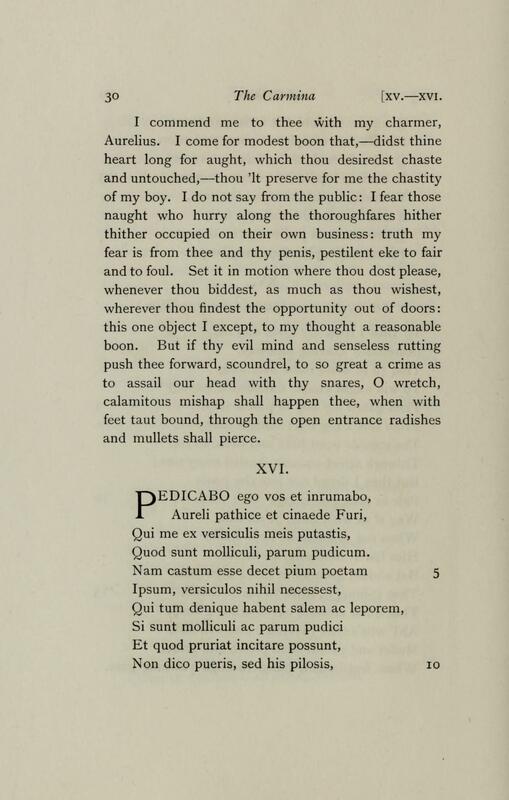 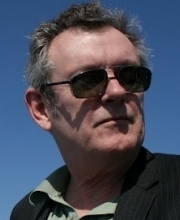 I was curious to see what Burton did with the obscene line “pedicabo ego vos et irrumabo” (I’ll *** you twain and ***). 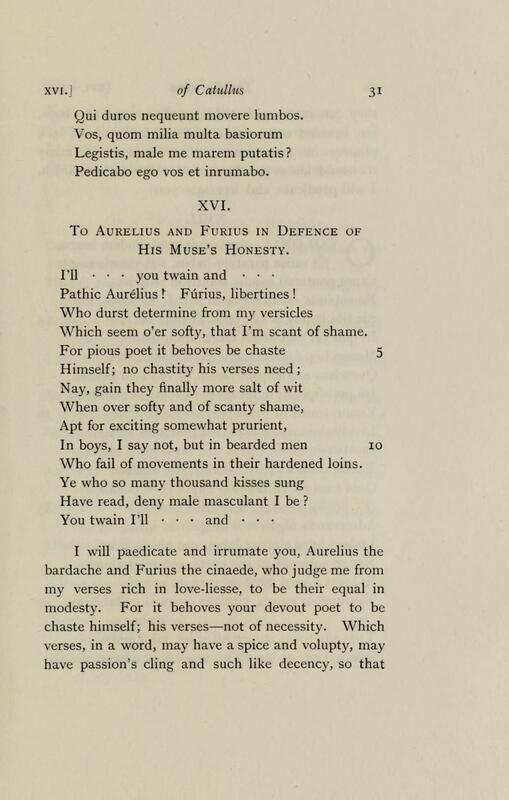 Smithers clearly did not believe her claim that the bowdlerizing stars standing in for translation of the line were the work of Burton, who “did not trouble himself in the least concerning using like expressions.” Hence his inclusion of her letter, presumably without her permission.